Instead of driving to Pickathon, you can bike to the festival! 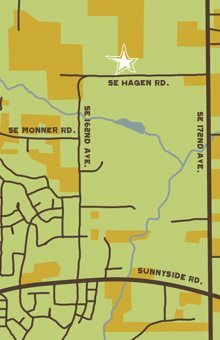 We’ve planned a breezy bike route for y’all from NE and SE Portland where you can bike with fellow festival friends to the farm. Our bike guides will be there to help lead the way! You can even park your cars at the meet-up spots. We’ll haul all your camp gear to the festival so you don’t have to worry about a thing. Then after the festival ends, we’ll take all your gear back to the starting locations of your bike routes. *Please show up an ½ hour before departure time, meet in the back parking lot. *Please show up an ½ hour before departure time, meet in west parking lot near Rhody Garden. Complimentary shower tickets provided to riders courtesy of PDW! 1. Hydrate before the ride, bring water with you on the ride. 3. Go your own pace, bike coordinators are here to make it fun and enjoyable so let them know how we can help…. Bike coordinators will have sunscreen, snacks, extra water, ice and some delicious popsicles available to melt away the heat wave….we ride rain or shine! Pickathon encourages folks to ride with a partner for safety at all hours of the day!